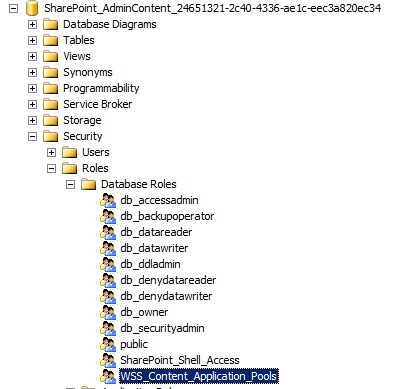 Updating the Application Pool Account on a SharePoint 2010 Site | Are you a user? I was working on changing the security on a 2010 site to use domain accounts instead of local and built-in accounts. The problem I was having was that a non-administrative user couldn’t log into the SharePoint site, even though the user was a site collection administrator. I created an app pool account to use (spDemoAppPool) and used SCA (SharePoint Central Administration) to register the account and assign the account to the application pool to replace the Network Service account. After making this change, I ran the configuration wizard to have it fix the security on the app pool account. However, I found that it didn’t fix all the security. When looking at this Technet article, I found that the SQL security in the last two bullets was not correctly assigned. This account is assigned to the db_owner role for the content databases. 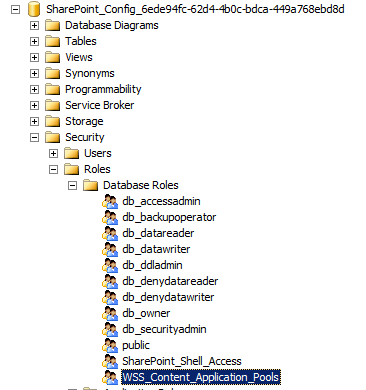 This account is assigned to the db_owner role for search databases associated with the Web application. 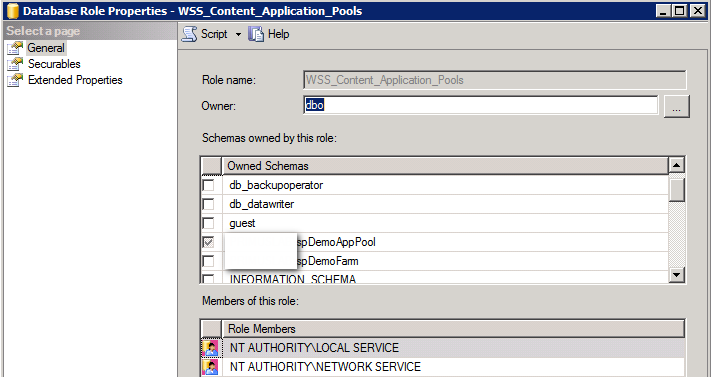 If you use SQL Server Management Studio, you can find the SharePoint Config and Admin_content databases and look at the properties on the WSS_Content_Application_Pools database role. From here, I selected the checkbox next to my spDemoAppPool account and clicked OK.
That appeared to fix my problem.